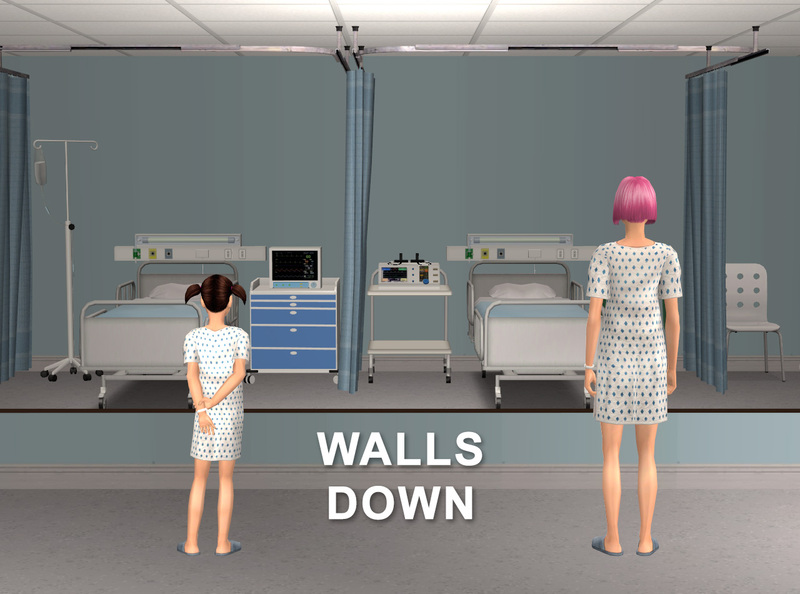 Here are two small mods (in one .rar file) that make mirrors and medicine cabinets disappear from view when walls are down. Works on all Maxis mirrors and should also work on all custom mirrors. Makes most mirrors shiftable if you have Apartment Life, because it's an edit of Goggalor's shiftable mirrors mod. You must delete Goggalor's shiftable mirrors mod and replace it with mine. They will conflict, but my mod includes Goggalor's shiftability so you won't lose anything. You must delete and rebuy mirrors/medicine cabinets already placed on lots in order for the change to take effect. Sept. 26, 2015 UPDATE #1: Apartment Life is NOT required for the mirrors anymore! Yay! Thanks to @NixNivis and @BoilingOil for helping with that! Please redownload if you need the fixed version. 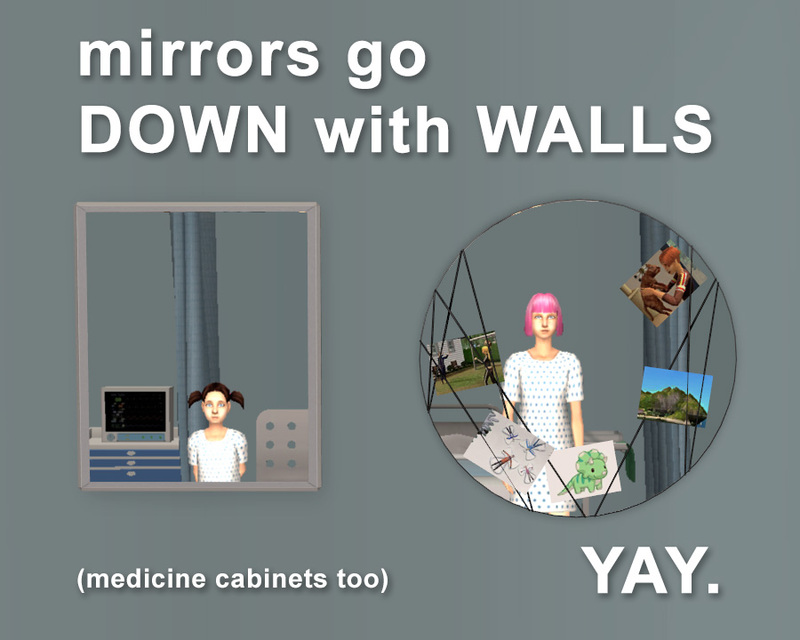 Sept. 26, 2015 UPDATE #2: Medicine cabinets are now shiftable, but sim animations will only line up perfectly when the cabinets are used in their original positions. Please redownload if you want the shiftable medicine cabinets. ADDITIONAL THANKS TO: Goggalor for the original mod, Kiri and Lee for teaching me how to do this, and Honeywell whose closets mod inspired me to finally make this one. very good. No problems making it?